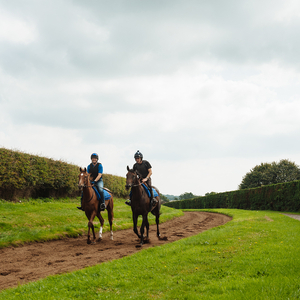 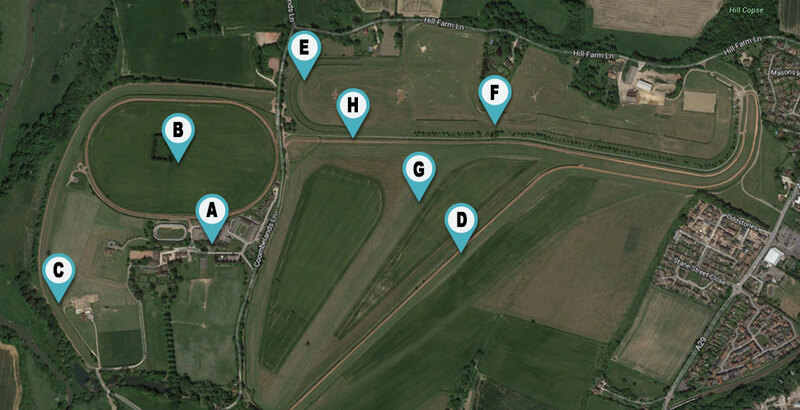 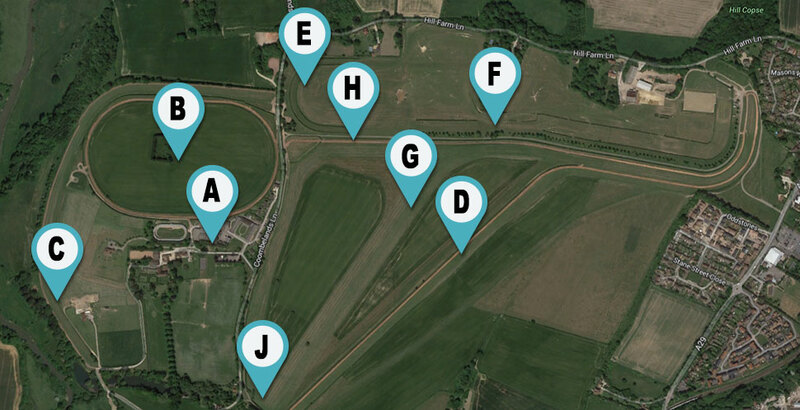 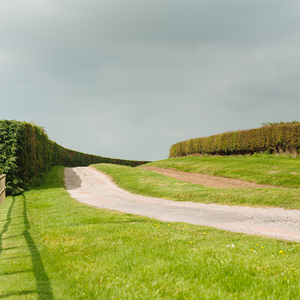 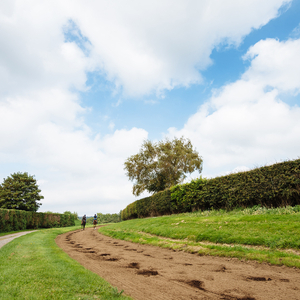 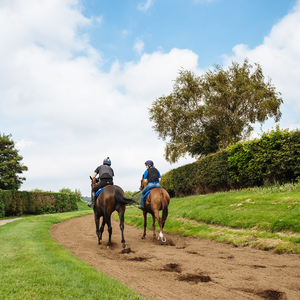 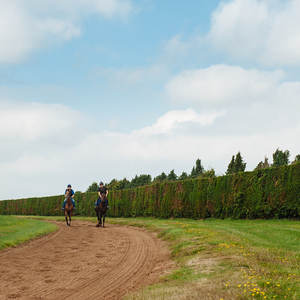 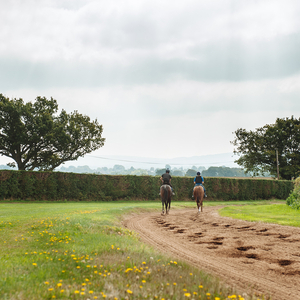 The Round Track provides seven furlongs of all-weather gallops, allowing racehorses to trot or canter all year round. 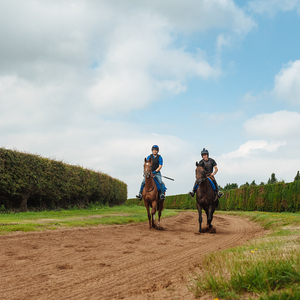 The curves and undulations teach horses how to get balanced. 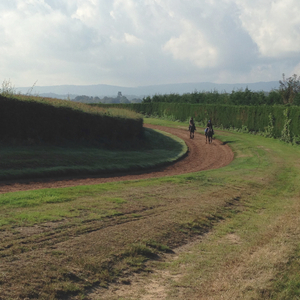 This track is great to use as a warm-up.